If you missed the chance to book your JioPhone, your wait could be over soon. 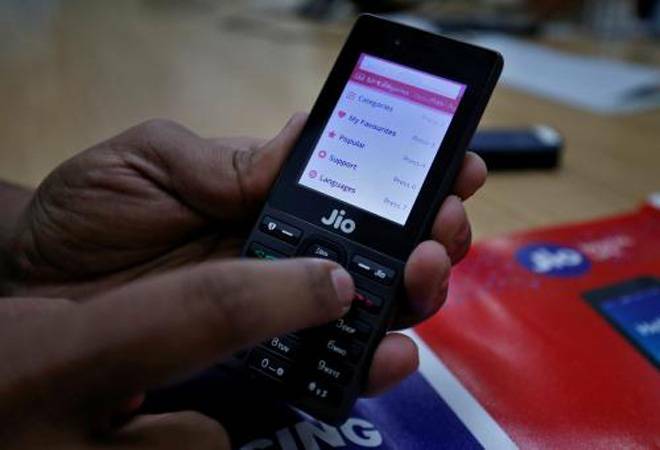 Reliance Jio is going to start accepting registrations for its 4G feature phone after Diwali, stated a PTI report quoting Reliance Retail channel partner. Reliance Jio claims to have received millions of pre-orders for its 4G-enabled feature handset, although no definite number has been declared by the company. Reports suggest that around 6 million units of JioPhone have been booked during the few days in August, before registration process was suspended temporarily on account of heavy demand. As of now, the JioPhone bookings section on the telecom operator's website, www.jio.com, shows a message stating "We will inform you when pre-booking resumes". Meanwhile, JioPhone units pre-ordered during the first round that started in August are expected to be delivered by the last week of October, or start of November, reports stated. While some have received their JioPhone, there remains a huge number waiting to receive their units. The PTI reports stated that Reliance Jio is presently focusing on delivering the millions of JioPhone that have been pre-booked in the first round by Diwali. Reliance did start to deliver the registered units by Navratri in September. The company is likely to start accepting pre-orders for JioPhone once the deliveries for already ordered units are wrapped up. Reliance Jio, however, has not confirmed any dates for second round of registrations yet. As for what the first 4G feature phone has to offer, Reliance claims the JioPhone will always be free for voice calls. For data, on the other hand, JioPhone users can opt for cheaper tariff. The unlimited data plan is available at Rs 153. However, the speed will reduce to 128Kbps after exhausting the FUP of 500MB per month. Affordable data plans for smaller periods are also on offer, with a weekly plan for Rs 53 and a 2-day plan for Rs 23. JioPhone also comes pre-loaded with multimedia applications for messaging, entertainment etc. The device will come with a JioTV application which features more than 400 live TV channels as well as JioMusic and JioCinema, which give access to the latest in entertainment in multiple regional languages. The content on JioPhone can be streamed to a bigger screen using a proprietary cable which has been included in the sales package. As and when the bookings begin, one can pre-book the JioPhone through both online and offline channels. The offline mode comprises of Jio retailers and multi-brand device retailers including the Reliance Digital stores network. The online channel includes the MyJio app and the company's official website. Although the JioPhone is available at an effective price of Rs 0, buyers will have to pay Rs 1,500 as security deposit. The pre-booking can be done against a payment of Rs. 500, which will be adjusted against the fully refundable security deposit at the time of delivery. The balance Rs. 1000 towards security deposit needs to be paid at the time of delivery of the device.